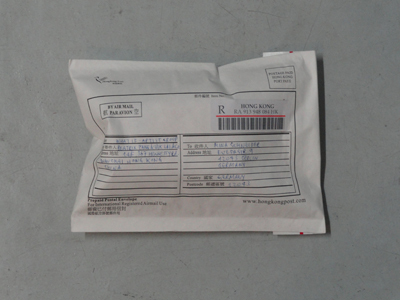 during my residency in hong kong in march 2011 i sent out the evenlope provided by what if artist group, which was a present from a google inc. conference. 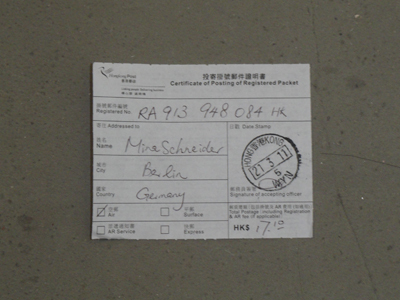 it travelled hong kong-berlin-hong kong with trash inside in search of mina schneider, a fake persona in berlin of sylbee kim. 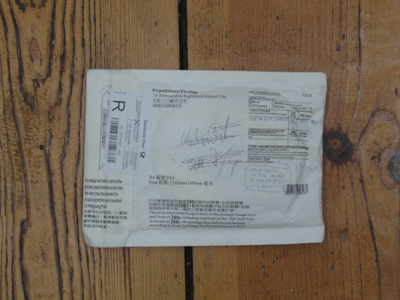 the postman couldn't find mina on the artist's address, so the object was sent back to hong kong. the round trip took ca. 1 month. 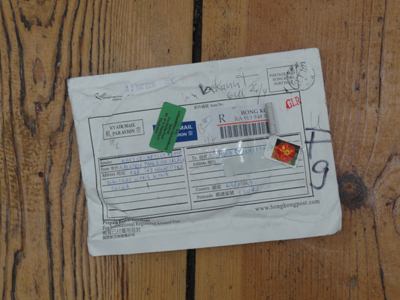 beatrix pang of what if artist group paid visit to berlin in may 2011 with the object which was then back in hong kong, and showed it to the artist. beatrix will travel back again to hong kong with it after her journey via oslo. the object will be placed at what if artist group's archive for 0 budget objects.